Car-maker Jaguar Land Rover has revealed that the vast majority of the vehicles stuck on board a stranded transporter ship in the English Channel are its products. The Hoegh Osaka ship has been deliberately run aground and is now stuck on a sandbank in the Channel as salvage crews attempt to right it. On board are 1,400 vehicles, 1,200 of which are believed to belong to Jaguar Land Rover that have a market value estimated to be just under £100 million. While this incident was reportedly a malicious attempt to target and disrupt the business, there is always a risk that vehicles will be damaged when being transported from one location to another. That is why it is so important that anyone who is repairing or selling vehicles has a road risks insurance policy in place that will offer protection for the cars while they are out on the roads. 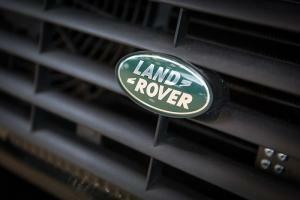 A Jaguar Land Rover spokesman commented: “We're still evaluating what has happened. Our main objective is to get sold orders to customers.” He refused to speculate on the exact value of the vehicles but added that all the cars were covered by insurance. The vessel left Southampton and was en route to Germany when the event took place, Hoegh Autoliners has revealed. An investigation into the incident is underway and in the meantime salvage teams have suggested it could take weeks or even months to free the ship and deliver the stock on board.